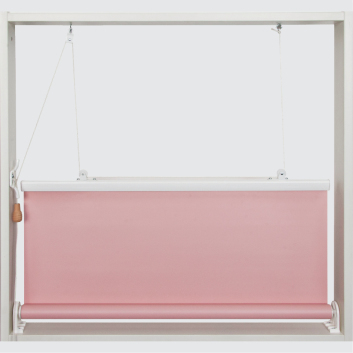 The YewdaleDefiant R26 overhead corded roller blind comes with a pull-cord and pulleys as standard. White plastic brackets for face or top fixing with 25mm aluminium barrel or white metal brackets for 57mm aluminium barrel, and strong, constant tension spring mechanism. The fabric is bonded onto the barrel, and features a white Tear Drop aluminium bottom bar. There is a pull-cord with cleat, and pulleys for single or double-corded operation. Ideal for relatively inaccessible locations, the R26 utilises tried and tested spring components and simple manual operation. Subject to size limitations, it is able to cope with sloping or even horizontal roof windows. The fabric is bonded to the barrel and locked into the bottom bar. It is supported by sturdy brackets. Tear Drop aluminium bottom bar in black or silver. 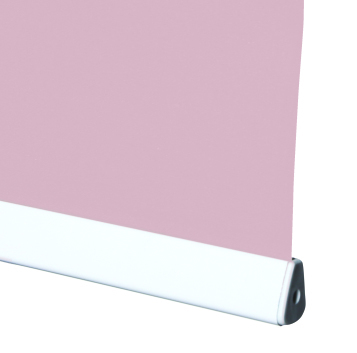 YewdaleDefiant® R26 overhead corded roller blind with constant tension spring mechanism as manufactured by Yewdale, +44 (0)1268 570900. Complete with pull-cord, cleat and pulleys for overhead operation, supported by study white brackets. Flame retardant fabric from the YewdaleDefiant® range, on aluminium barrel with spring operation for single or double-handed use. Complete with pull-cord, cleat and pulleys for overhead operation.